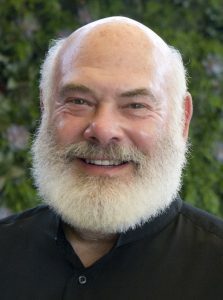 Botany- and medicine student Andrew Weil continues working, after receiving his Harvard diploma, at the Harvard Botanical Museum as a research associate (ethnopharmacology) for fifteen years. During these years his interest is especially drawn to the medical aspect of psychotropic drugs. This results in 1971 in a first book: The Natural Mind, which is about the human drive towards altered states of consciousness. In continuation of this he travels, as a fellow of the Institute of Current World Affairs, all over the world to collect information about the medicinal use of (psychotropic) plants. This is how he winds up in 1972 in the by then famous Mexican ‘magic mushroom village’ Huautla de Jimenez where he participates, under the guidance of a curandera, in a Velada. Nowadays Weil is known as one of the leading proponents of ‘integrative medicine’: a combination of mainstream medical treatments and alternative treatments. He works at the University of Arizona as director and founder of an integrative medicine program and on the website of his advice organization in this area, Weil Lifestyles LLC, he gives lots of tips on how to live as healthy as possible. 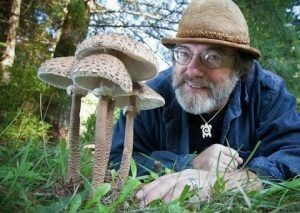 Weil receives recognition for his numerous contributions to the field of ethnologic mycology, botany and medicine in 1995 when a psilocybin mushroom is named after him: the Psilocybe weilii. Name-givers are Dr. Gaston Guzman, Fidel Tapia, and mycologist Paul Stamets. Paul Stamets is an ambitious researcher with lots of fieldwork on his name. In the damp old growth forests of the Pacific Northwest, it is difficult to find a log that has not been lifted by the mycologist to see if there is an undiscovered mycelium network hiding underneath. He started this kind of research in the late 70’s and since then he has identified over 250 species, collected them and stored in genetic files. Stamets is most of all interested in the medical effects of the mushrooms and their unrecognized biological restoration techniques that could solve many environmental problems. He believes in a deeper ecological connection in which mushrooms play an important role. Stamets is currently occupied with the experimental techniques that he refers to as ‘mycorerecovery’ and ‘mycoremediation’ and whereby mushrooms are being cultivated that can clean up toxic-waste dumps, improve the health of humans and animals and demolish chemical weapons. Stamets’ saying ‘mushrooms will save the world’ is a much-used quote. He is also the owner of the company Fungi Perfecti, where edible as well as medicinal mushrooms are grown in the North American state Washington. On the website of this company grow kits, spawn bags and many other ‘tools’ are sold to simplify the life of a practicing fungi-fan as much as possible. Stamets wrote six books about mushrooms under which ‘Psilocybin Mushrooms of the World’ and ‘The Mushroom Cultivator’, better known amongst mushroom-lovers as ‘the mushroom bible’ written by ‘the mushroomprophet’. His latest book is titled ‘Mycelium running: How mushrooms can save the world’. The Swiss Albert Hofmann is a prominent scientist in the chemical area that you simply can not ignore. Especially when you grew up in the 30’s or 40’s. The furore that he created in 1943 as ‘the man who discovered LSD’ made of him into a true ‘drugs-celebrity’. Up until today he is celebrated and honored by (mostly) hippies as if he were a god. During his study at the University of Zurich his interest was most of all drawn to the chemistry of plants and animals. He received his doctorate title not surprisingly with an important research on the chemical structure of the common animal substance chitin. At the same time he led an important research about the medical plants Scilla and Ergot as a part of a program to synthesize active substances for the use of a medicine. His research on lysergic acid, the central shared component of ergot alkaloids, led him to the synthesis of LSD in 1938. But only five years later after this chemical accomplishment Hofmann discovers the psychedelic effect of LSD by coincidentally ingesting a little bit of the substance. This was on 19 April 1943, nowadays better known as Bicycle Day because Hofmann began hallucinating during his cycle back home. Three days later he willingly consumes a dose of LSD to be able to research the effects of it better. Since then LSD as a hallucinogen is a fact. In 1956 Hofmann gets to know the Teonanácatl when he coincidentally reads a small news article about the ‘discovery’ of the still vivid mushroomcultus in Mexico. By then Hofmann has never heard of the mushroom but his enthousiasm is killing him. He never expected, convinced as he is of the unique aspects of LSD, that there would be more substances that could have the same aspects or even exceed them. Let alone a natural substance. But unfortunatelly there are no names or adresses in the short article so the chance to contact the discoverers seems very little. The subject keeps him busy though, for a whole year long, but he never seems to get any further. Finally it is the French researcher Heim who lends Hofmann a helping hand and invites him to research the chemistry of Heims own cultivated mushrooms. Hofmann can not be more happy to do so! He does his trick again and synthesizes the substances psilocybine and psilocine from Heims material. He decides to do some research on the Teonanácatl and even pays a visit to Mexico for further research, he keeps on running into more and more psychoactives. He finds out about Morning Glory seeds of the Rivea corymbosa species (Ololiuhqui). From analysis of these seeds he surprisingly finds out that their active compounds do not differ much from those of LSD. Hofmann is the author of over a hundred articles and countless books amongst which is ‘LSD, My Problem Child’. 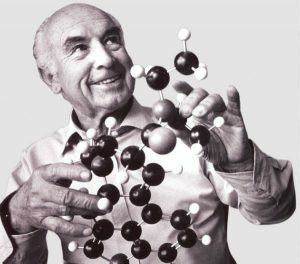 Albert Hofmann passed at the age of 102. 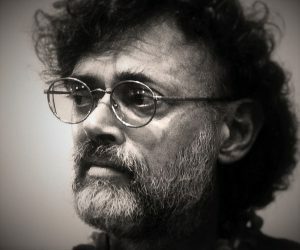 The American Terrence McKenna became, as a leader of the psychedelic movement in the United States (in imitation of Timothy Leary) very popular in the sixties. His books, theories, readings (documented on many famous audiotapes) and speculations made him a true icon for psychedelic partisans and sympathisants. After graduating from the University of Berkeley in 1969 with Ecology, Resource Conservation, and Shamanism as his major, McKenna starts traveling. 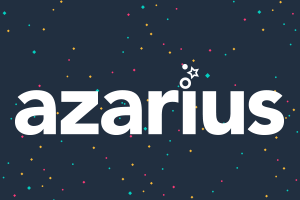 Firstly as a smuggler of hashish but more and more with the purpose to ‘explore’ the role drugs are playing in different cultures as a spiritual component. He specializes in shamanism and the ethnomedicine of the Colombian Amazon area. As a result of a psychedelic experiment (a DMT-trip) while traveling in through this area in 1971, claims McKenna to have been in contact with what he calls the Logos, an unconscious spiritual world. In an attempt to understand this experience better, he starts to study, back home in California, the I Ching, one of the oldest Chinese classical texts. This describes the system of cosmology and philosophy and is the basis for many Chinese cultural beliefs. This study finally leads to the construction of McKenna’s famous Novelty Theory. To be short: we do not know even half of what is going on. McKenna has lots of examples to clarify this. In his book The Archaic Revival, for example, he says that DMT-containing hallucinogenics (like ayahuasca and psilocybin mushrooms) are just vehicles to accomplish communication with other forms of life in ‘hyperspace’. You could meet entities in a DMT- trance that is called ‘tryptamine-men’ by McKenna, according to him ‘reflections of a before hidden and all of a sudden autonomous part of our own psyche’. Another outstanding theory of the always surprising and original McKenna is his view on human evolution and the creation of our conscience. A high dose of psilocybin mushrooms, says McKenna in his theory, activates our verbal centers in our brain. This did awaken a certain language of sounds in primates (that were already taking psychedelics on a regular basis according to McKenna). Firstly these sounds were very random, but as time went by the primates started to associate the sounds with communicative concepts. Finally, language became a learned behavior. Heavily frustrated about the fact that (almost) all hallucinogenic substances were illegal and still are he once said: ‘If the words ‘life, liberty, and the pursuit of happiness’ don’t include the right to experiment with your own consciousness, then the Declaration of Independence isn’t worth the hemp it was written on.’. McKenna is the author of books like Food of the Gods, True Hallucinations and The Archaic Revival. But probably his best-known work is Psilocybin – The Magic Mushroom Growers Guide, a guide for the cultivation of psilocybin mushrooms. An incredibly popular little book that was sold out regularly, even years after it came out. The ban of the American government on mushrooms but not on spores had lots to do with it. To prevent trouble McKenna and his brother used the pseudonyms ‘O. T. Oss and O. N. Oeric’ for publishing. McKenna had by then already appeared once on the blacklist of Interpol in relation to trafficking drugs. McKenna was, next to his job as a writer, also co-founder of Botanical Dimensions, a botanic garden on the island Hawaii. Here where ethnic-farmaceutical plants that are threatened with extinction are kept. McKenna spent the last days of his life here. He died at 54 in 2000 of a brain tumor. ‘When you make the campfire bigger, more darkness is revealed. I found more questions than answers in my search’. Dr. Guzman was born in Xalapa, Veracruz, in 1932. 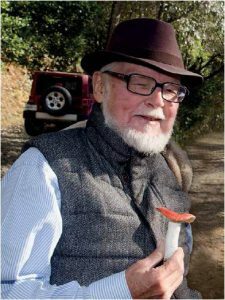 His interest in mycology begins in 1955 when he while being a graduate student, decides to update the poorly maintained collection of fungi of the National Polytechnic Institute. During his first fieldwork in the forests near Mexico City, he finds myriad of species about which little was known by then. This inspired him to declare mushrooms as the topic of his professional thesis and he vowed to someday write a book on Mexican mushrooms. In 1957 Dr. Guzman reads the article of R. Gordon Wasson (see there) with a lot of enthusiasm and interest. That same year he is invited by mycologist Dr. Rolf Singer to go on an expedition to study neurotropic mushrooms in the Huautla de Jimenez region. During this expedition, he coincidentally meets up with R. Gordon Wasson in person. This chance meeting results in a close friendship between the two men that lasts for nearly 30 years. Gaston Guzman has done since he made his first steps in the world of the mushrooms, lots and lots of research on psilocybin species. He has written more than 350 articles and 9 books on the subject among others his masterpiece The genus psilocybe: A systematic revision of the known species including the history, distribution, and chemistry or the hallucinogenic species which he began writing in 1957 but which was published in 1983. More than half of the 200 psilocybin mushrooms (neurotropic species) that are known, were discovered by this man. This unforgettable experience would change her life drastically. The mushrooms became a way of life for Maria Sabina. 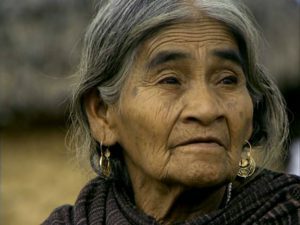 She became known as a Sabia (a wise person) and as a Curandera (Shaman). Maria Sabina has invited a numerous amount of people during her life to heal then through her powers she received from the mushrooms. The (mostly nocturnal) ceremonies that she led were called Velada’s by the local inhabitants. But then, in 1955, R. Gordon Wasson suddenly entered into her life with the question if she could tell him more about the magic mushrooms that he heard of so much. It was a quite unexpected visit that both of them would not soon forget. Maria Sabina takes Wasson and his photographer to a Velada where they eat the hallucinogenic mushrooms as being the first from the western world. For Maria Sabina this was also a new experience. She was used to eat the mushrooms only when her help was needed for medically or predictions. But the only help Wasson needed was the trip itself, the discovery of the unknown. As a result of this meeting with Maria Sabina and the hallucinogenic mushrooms R. Gordon Wasson writes an article in the magazine Life under the title: Seeking the magic mushroom. He uses no names in the article to protect the privacy of Maria Sabina and her fellow village inhabitants. But the bigger audience figures them out anyway. Shortly after the publication large groups of people flock to the little village Huautla de Jimenez to experience a mushroom-trip under the supervision of Maria Sabina. Among them are celebrities like John Lennon, Peter Townshend, Mick Jagger and Bob Dylan. Maria Sabina became a local celebrity and the village grew out to a touristic place of pilgrimage for hippies from all over the world. Many of them came with respect, but there are negative stories as well with tripping hippies in the leading role. In 1976 the local authorities feel obliged to put an end to these scandals and they ban the use of mushrooms. Maria Sabina receives the biggest blame for this, she was the one at last that had given out the secrets of Teonanáncatl. Her house is lit on fire and finally she is banned to another place outside the village. Through the years she has been arrested many times as well. Despite all the trouble that was caused by the meeting with Wasson, Maria Sabina never showed any regret. She took it all like a grill of faith. She even has had a vision before telling her that she would have a meeting with ‘people from the outside world’. Maria Sabina died in 1985, at the age of 91. During her life she became a legend that has been remembered up untill today.